​We offer elective 2D, 3D, 4D and HD prenatal Ultrasounds to provide a positive bonding experience for the mother, father and family members with the unborn baby. This is not a diagnostic exam. ​What is 2D, 3D and 4D? ​2D is the standard ultrasound. This type of ultrasound is recommended for babies that are 20 weeks and younger. 2D is the preferred type of imaging for gender determination since it is most accurate. 4D is simply 3D ultrasound captured in real time (video). This imaging allows you to capture the baby’s movement and activity in 3D. You can see the baby smile, yawn, play with hands, feet, etc. ​HD Live is the latest advance in ultrasound imaging. Like 3D and 4D live, you are able to see your baby’s features but HD Live produces higher quality images with striking clarity. HD Live uses a virtual light source and advanced skin rendering techniques to accomplish extraordinarily realistic images. ​NO! Women seeking Ultrasound from Baby Blessing Ultrasound Studio must already be receiving treatment with a healthcare provider for prenatal care and have already undergone a medical, diagnostic Ultrasound ordered by their provider to confirm their due date, screen for fetal anomalies, and to look for any other pregnancy related issues. At no time is this exam to be used in place of a diagnostic Ultrasound. ​Will you provide measurements of the baby or establish a due date? ​NO! We are an optional service and do not replace any aspect of your prenatal care. We urge you to consult your health care provider if you have any concerns about your pregnancy. ​Yes, in the 40 years of use, there has never been a harmful effect shown by the use of ultrasound. Many women have multiple ultrasounds during their pregnancy with no negative effect on the baby. ​Is the 4D Ultrasound covered by Insurance? ​At this point, insurance does not cover the costs of our Ultrasounds. Since this is an elective procedure and is not intended to be a replacement for your doctor ordered Ultrasound, you will need to pay the cost of this Ultrasound as an out of pocket expense. We accept cash, Visa, MasterCard, Discover, and American Express. ​Do I need a referral from my doctor? 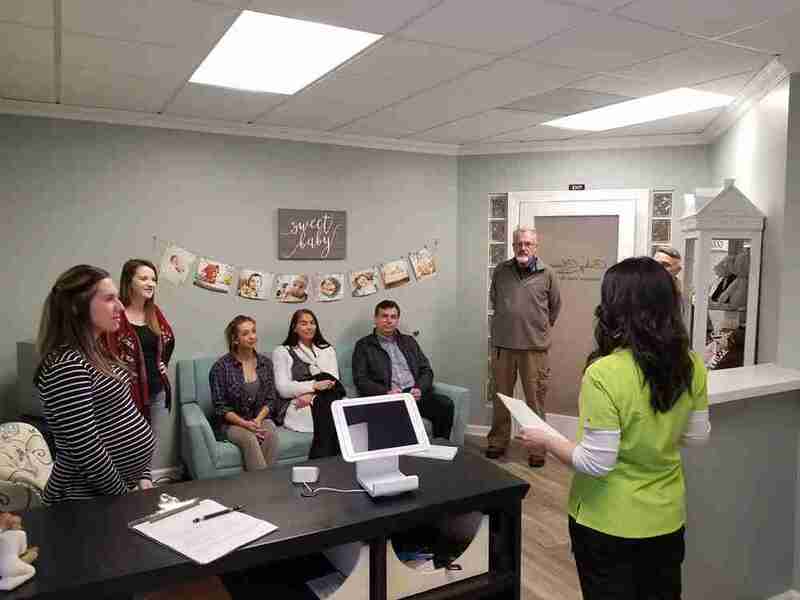 ​Baby Blessing Ultrasound Studio requires all potential clients must be under the active care of a physician or midwife. However, with this being an elective ultrasound, a physician’s referral is not required. 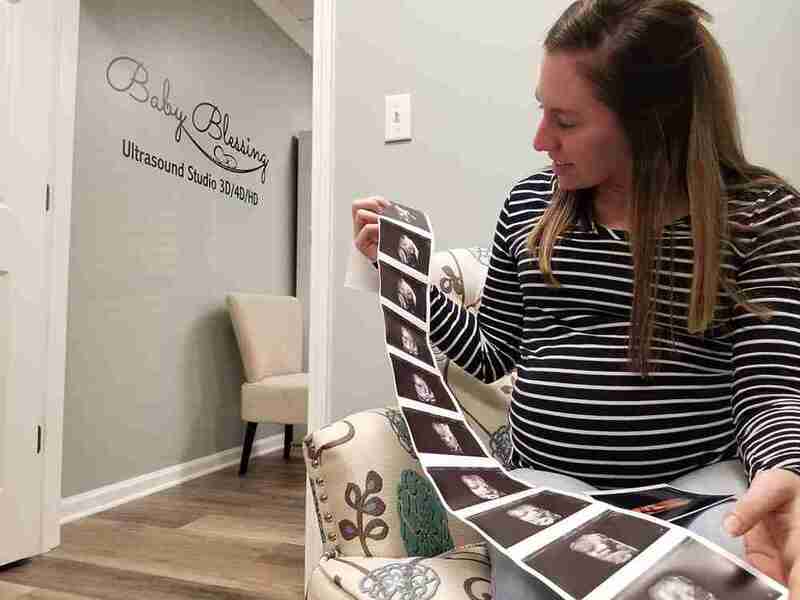 ​Baby Blessing Ultrasound Studio employs only registered/board certified sonographers. This is an important factor when deciding to choose an imaging center. Using qualified sonographers provides a more efficient and effective ultrasound experience. ​Should I make an appointment in advance? ​Yes, we require you to make an appointment in advance. ​Will I always get a beautiful picture of my baby? ​Usually, but not always. Sometimes if the baby is persistently camera shy, it may be difficult to see the baby’s face. If this happens, a repeat scan will usually succeed because the baby has turned to a favorable position. 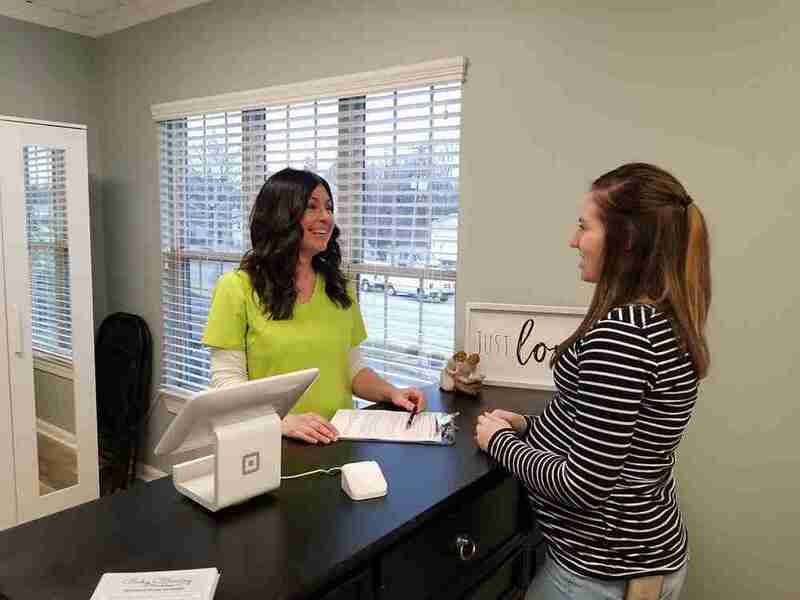 We make no promises that the images will be similar to those you might have seen elsewhere or even from our clinic, or that we can always meet everyone’s expectations. Every baby scans differently, depending on its gestational age, position, amount of fluid, and mother’s condition. We promise to make every effort to obtain the best possible images of whatever parts of the baby that can be seen. ​​Can I bring my family and friends? Yes. In fact, we encourage our clients to invite family and friends to attend the Ultrasound session. This is a joyous and wonderful experience, one that can be shared with your family and loved ones. We can comfortably accommodate you in our Ultrasound room. Our seating is arranged so that everyone in your party will have an excellent view of our large screen 4D images of the baby. ​Yes, in most cases we can provide an indication of the gender of the baby. We can’t however guarantee that the baby will cooperate during your session. Certain factors such as body tissue content, developmental stage and fetal position all affect the ability to determine gender. ​What do I need to do to prepare for my appointment? ​You will want to make sure you stay well hydrated in the days leading up to your appointment. Do not have a heavy meal within 2-3 hours of your appointment time. On the way to your appointment you may have a small snack to help get baby active. As long as you are not diabetic, cold sweet snacks are best. You do NOT need a full bladder. ​What is your cancellation and refund policy? ​​We request 24 hours notice if you decide to cancel your appointment. 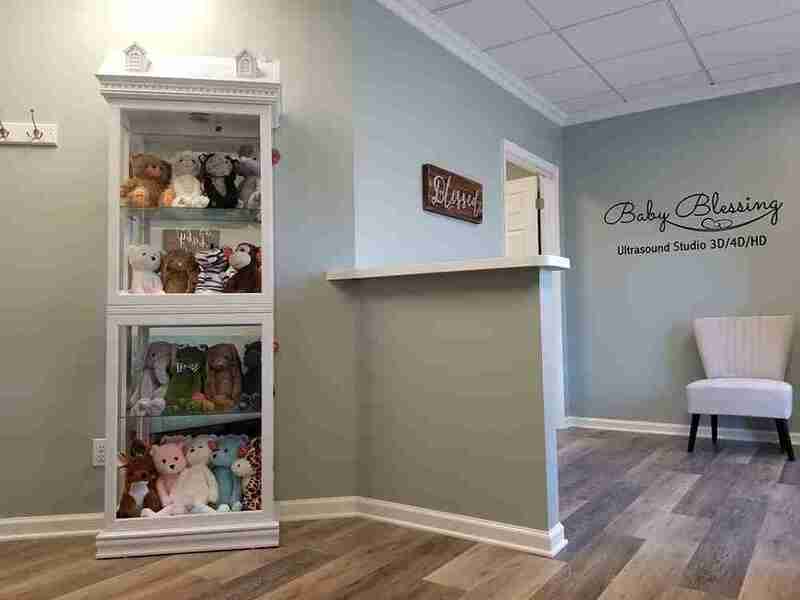 Your satisfaction is very important to Baby Blessing Ultrasound Studio and if your baby does not cooperate we will have you come back at no additional charge for a rescan within 2 weeks of your original appointment. No refunds issued.